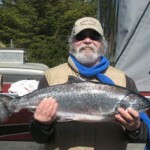 A happy “camper” with a nice Spring Chinook. 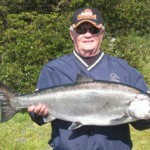 Joe caught a bright birthday fish on his b-day. 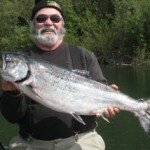 Buzz Gunning with a nice May Spring Chinook! 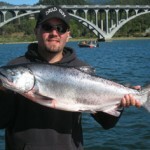 Michael Depuglia with a fun Spring Chinook. 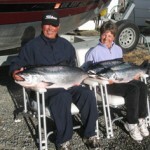 A two hour “limit” of spring Chinook for Carl Tietge in May. 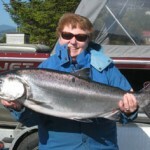 Sally Johnson with a great Chinook in May. 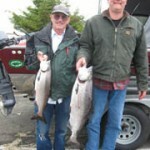 John & Richard caught “springers” in June. 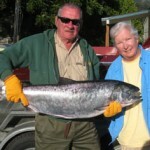 Mr Kimler’s 1st salmon. 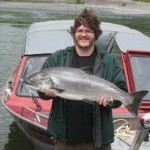 A beautiful Rogue Chinook Springer in June. 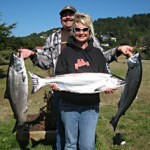 Larry & Barbara Bakin. 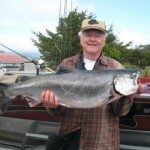 What a fighter! 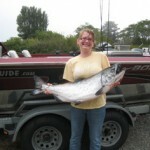 A Rogue Chinook, of course. 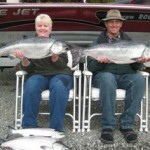 Kirk & Linda Peterson had a fun time.This was Linda’s first time fishing since childhood. 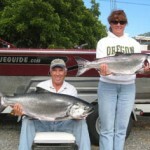 Doyle and Laura Bransom with nice catch on July 30th. 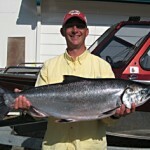 Paul bransom with a 31 pound Chinook on August 1. 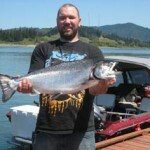 A nice Chinook limit for Brian Valdez in 4 hours. 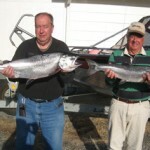 Dave & John from Winnemucca, Nevada. 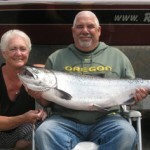 Chris Neal is taking his new friend home to meet the family in Springfield, Missouri. 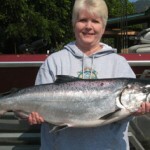 Teresa Sheppard from Eugene, Oregon caught her fist Chinook salmon – a beauty! 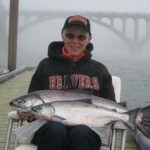 Janet Payne with a nice catch on Aug 19th. 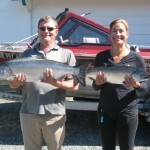 Carl & Kathy with …yes…three Chinook. 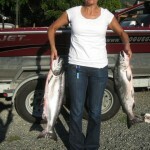 18, 22 & 31 pounds. 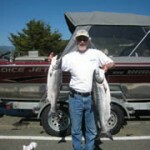 Jeremy Scoles from Redmond, Oregon LOVES Gold Beach!…and the salmon fishing of course. 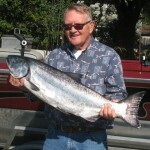 Bill Hinks from Eagle Point, Oregon comes to the “Lower Rogue” to fish for the bright ones. 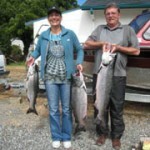 The Orwicks with a nice catch of Chinook salmon on the 1st of Sept.
Howard & Jack with a nice Chinook and a nice Coho. 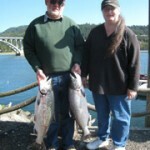 Teresa & Houston had a great day on the Rogue river. 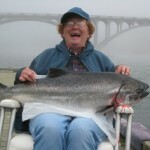 Note: the fish at Teresa’s feet…are all hers. 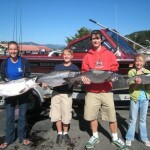 Cousins with salmon: Melanie, Trevor, Curtis, and Claire. 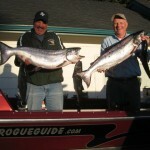 Great day on the Rogue! 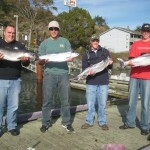 “Preachers” day on the water. 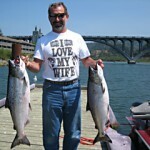 Oh what a great time. 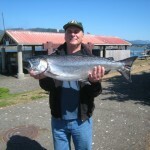 John Breslin caught this nice Chinook on Sept 23rd. 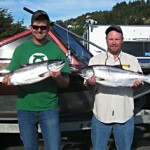 The “Medford” boys end the season with a great day on the Rogue river.